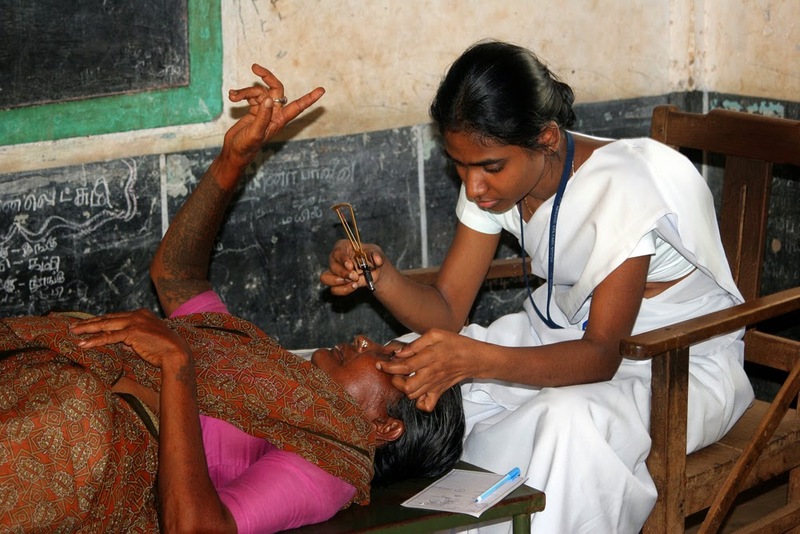 The Aravind Eye Hospital in Madurai is world-renowned for its social entrepreneurship and for providing quality eye-care to the poor. 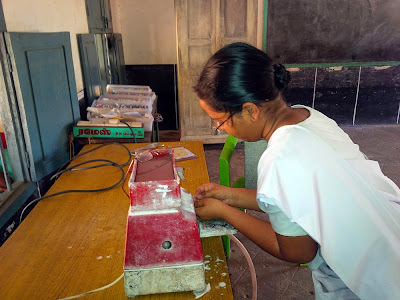 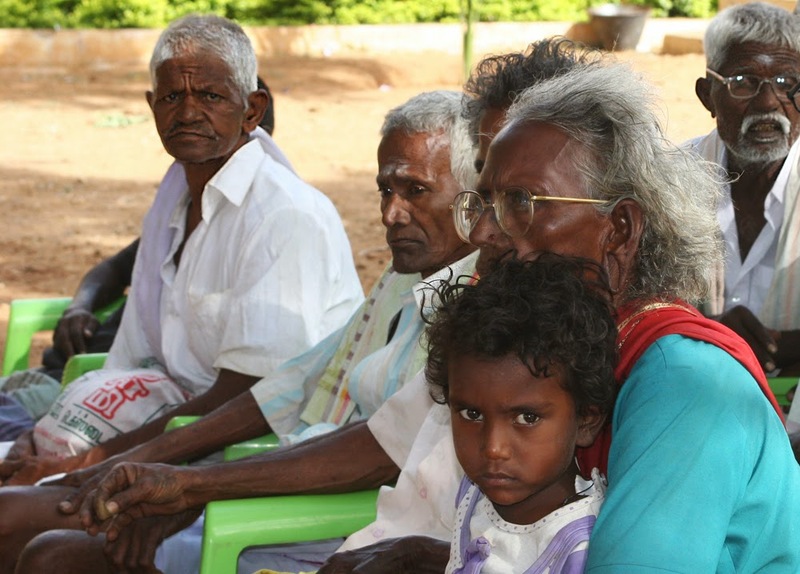 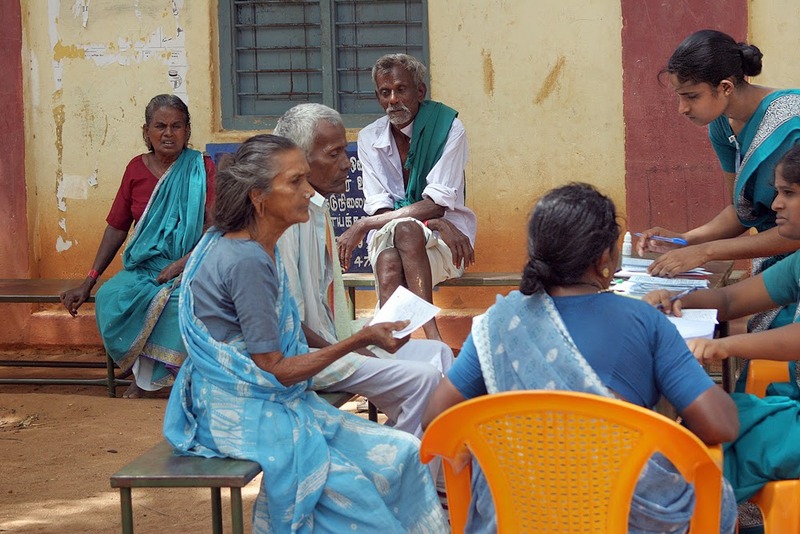 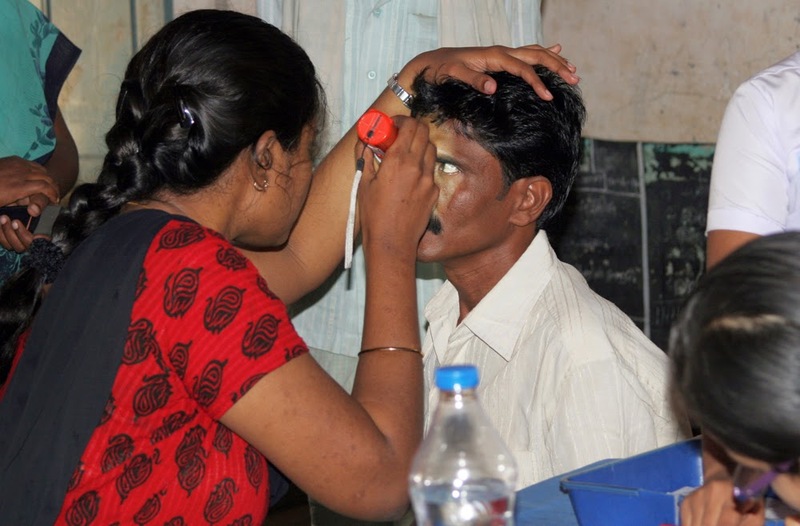 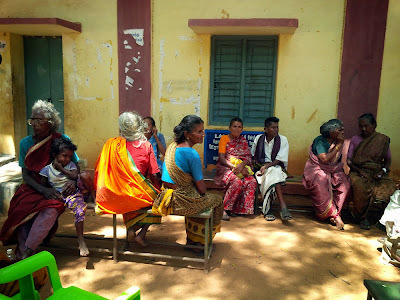 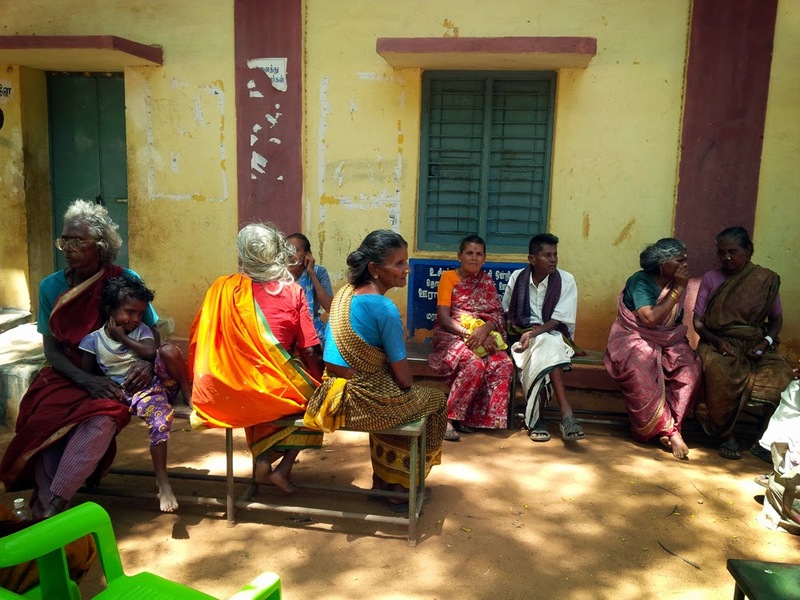 They frequently conduct free eye camps in rural villages, but need a partner organisation to work out the logistics--finding a suitable venue, providing tables and chairs, food for the medical staff, advertising in the villages etc. 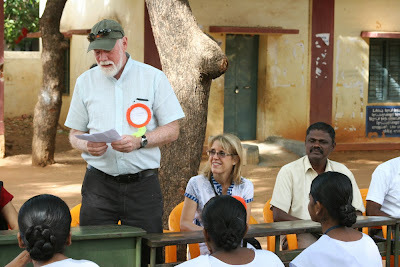 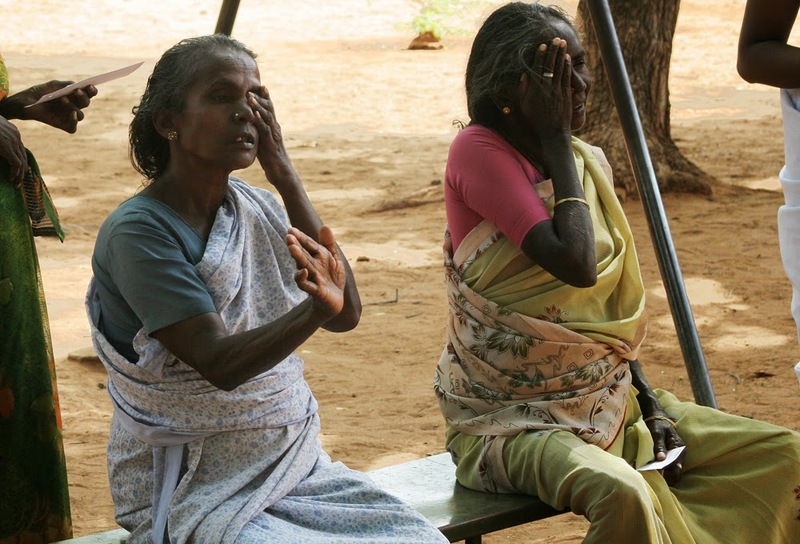 We partner with the hospital once a year to provide eye screening for 30 villages in our area. This year, over 150 people attended, and 27 were bussed off the the hospital the same day to receive free cataract operations--that's 27 people saved from blindness! Many others received spectacles for only $5.00 (Rs.300) a pair. 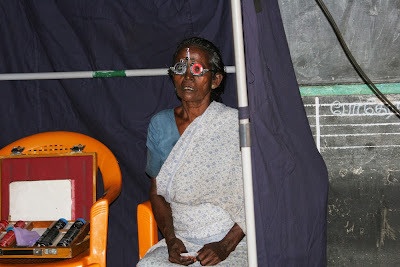 The lenses for these were ground on site.